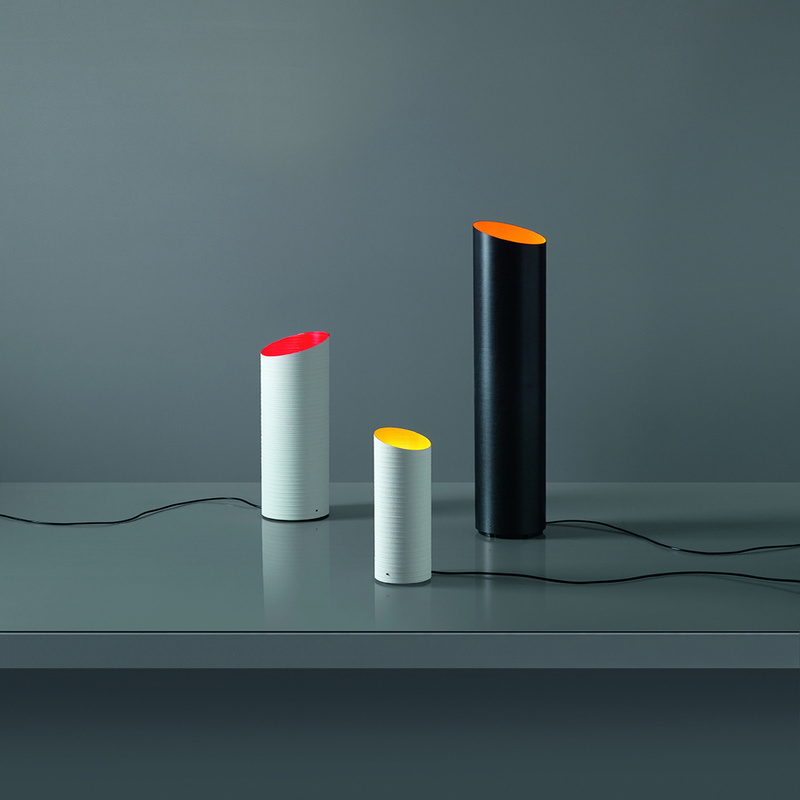 Slice Small T36 is a black table lamp shaped after a cylinder and made from carbon fibre. It has a slanting cut and an inner finish in the colours yellow, red or orange.Have fun in mixing and matching colours to create your own composition. 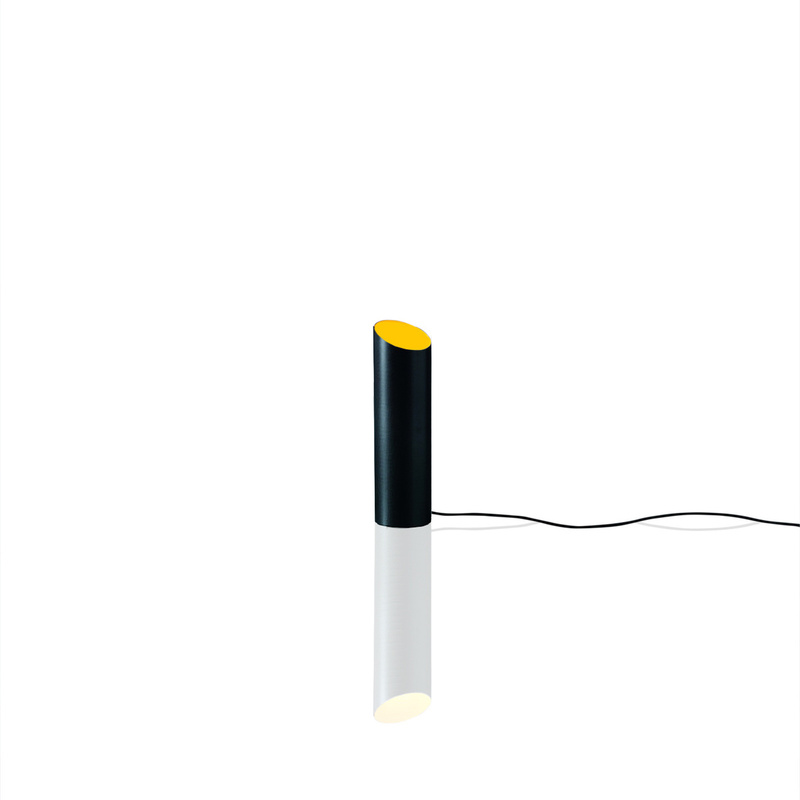 This lamp by Karboxx has a minimalist design that perfectly blends in with any decor. Technical information: recommended bulb halogen max 1x75W E27 PAR 30S or LED 1x11W 230V E27 PAR 30S IP20 CE.